The Analects (Chinese: 論語; Old Chinese:*run ŋ(r)aʔ; pinyin: lúnyǔ; literally: "Edited Conversations"), also known as the Analects of Confucius, is a collection of sayings and ideas attributed to the Chinese philosopher Confucius and his contemporaries, traditionally believed to have been compiled and written by Confucius' followers. It is believed to have been written during the Warring States period (475 BC–221 BC), and it achieved its final form during the mid-Han dynasty (206 BC–220 AD). By the early Han dynasty the Analects was considered merely a "commentary" on the Five Classics, but the status of the Analects grew to be one of the central texts of Confucianism by the end of that dynasty. During the late Song dynasty (960-1279) the importance of the Analects as a philosophy work was raised above that of the older Five Classics, and it was recognized as one of the "Four Books". The Analects has been one of the most widely read and studied books in China for the last 2,000 years, and continues to have a substantial influence on Chinese and East Asian thought and values today. They were very important for Confucianism and China's overall morals. Confucius believed that the welfare of a country depended on the moral cultivation of its people, beginning from the nation's leadership. He believed that individuals could begin to cultivate an all-encompassing sense of virtue through ren, and that the most basic step to cultivating ren was devotion to one's parents and older siblings. He taught that one's individual desires do not need to be suppressed, but that people should be educated to reconcile their desires via rituals and forms of propriety, through which people could demonstrate their respect for others and their responsible roles in society. He taught that a ruler's sense of virtue was his primary prerequisite for leadership. His primary goal in educating his students was to produce ethically well-cultivated men who would carry themselves with gravity, speak correctly, and demonstrate consummate integrity in all things. According to Ban Gu, writing in the Book of Han, the Analects originated as individual records kept by Confucius' disciples of conversations between the Master and them, which were then collected and jointly edited by the disciples after Confucius' death in 473 BC. The work is therefore titled Lunyu meaning "edited conversations" or "selected speeches" (i.e. analects). This broadly forms the traditional account of the genesis of the work accepted by later generations of scholars, for example the Song dynasty neo-Confucian scholar Zhu Xi stated that Analects is the records of Confucius' first- and second-generation pupils. The view however was challenged by Qing dynasty philologist Cui Shu (崔述, 1740–1816) who argued on linguistic ground that the last five books are much later than the rest of the work. Many modern scholars now believe that the work was compiled over a period of around two hundred years, with some questioning the authenticity of some of the sayings. Because no texts dated earlier than about 50 BC have been discovered, and because the Analects was not referred to by name in any existing source before the early Han dynasty, some scholars have proposed dates as late as 140 BC for the text's compilation. Regardless of how early the text of the Analects existed, most Analects scholars believe that, by the early Han dynasty (206 BC-220 AD) the book was widely known and transmitted throughout China in a mostly complete form, and the book acquired its final, complete form during Han dynasty. A Han dynasty writer Wang Chong however claimed that the Analects that existed during the Han dynasty was incomplete and formed only a part of a much larger work. A larger collection of Confucius' teachings existed in the Warring States period than has been preserved directly in the Analects: Mencius quotes a number of sayings which occur with different wordings or in a different context than the received text of Analects. At least three times the amount of those do not exist in the Analects at all. According to the Han dynasty scholar Liu Xiang, there were two versions of the Analects that existed at the beginning of the Han dynasty: the "Lu version" and the "Qi version". The Lu version contained twenty chapters, and the Qi version contained twenty-two chapters, including two chapters not found in the Lu version. Of the twenty chapters that both versions had in common, the Lu version had more passages. Each version had its own masters, schools, and transmitters. In the reign of Emperor Jing of Han (r. 157-141 BC), a third version (the "Old Text" version) was discovered hidden in a wall of the home then believed to be Confucius' when the home was in the process of being destroyed by King Gong of Lu (r. 153-128 BC) in order to expand the king's palace. The new version did not contain the two extra chapters found in the Qi version, but it split one chapter found in the Lu and Qi versions in two, so it had twenty-one chapters, and the order of the chapters was different. The old text version got its name because it was written in characters not used since the earlier Warring States period (i.e. before 221 BC), when it was assumed to have been hidden. According to the Han dynasty scholar Huan Tan, the old text version had four hundred characters different from the Lu version (from which the received text of the Analects is mostly based), and it seriously differed from the Lu version in twenty-seven places. Of these twenty-seven differences, the received text only agrees with the old text version in two places. Over a century later, the tutor of the Analects to Emperor Cheng of Han, Zhang Yu (d. 5 BC), synthesized the Lu and Qi versions by taking the Lu version as authoritative and selectively adding sections from the Qi version, and produced a composite text of the Analects known as the "Zhang Hou Lun". This text was recognized by Zhang Yu's contemporaries and by subsequent Han scholars as superior to either individual version, and is the text that is recognized as the Analects today. No complete copies of either the Lu version, the Qi version, or the old text version of the Analects exist today, though fragments of the old text version were discovered at Dunhuang. Before the late twentieth century the oldest existing copy of the Analects known to scholars was found in the "Stone Classics of the Xinping Era", a copy of the Confucian classics written in stone in the old Eastern Han dynasty capital of Luoyang around 175 AD. Archaeologists have since discovered two handwritten copies of the Analects that were written around 50 BC, during the Western Han dynasty. They are known as the "Dingzhou Analects", and the "Pyongyang Analects", after the location of the tombs in which they were found. The Dingzhou Analects was discovered in 1973, but no transcription of its contents was published until 1997. The Pyongyang Analects was discovered in 1992. Academic access to the Pyongyang Analects has been highly restricted, and no academic study on it was published until 2009. The Dingzhou Analects was damaged in a fire shortly after it was entombed in the Han dynasty. It was further damaged in an earthquake shortly after it was recovered, and the surviving text is just under half the size of the received text of the Analects. Of the sections that survive, the Dingzhou Analects is shorter than the received Analects, implying that the text of the Analects was still in the process of expansion when the Dingzhou Analects was entombed. There was evidence that "additions" may have been made to the manuscript after it had been completed, indicating that the writer may have become aware of at least one other version of the Analects and included "extra" material for the sake of completeness. 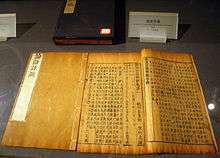 The content of the Pyongyang Analects is similar to the Dingzhou Analects; but, because of the secrecy and isolationism of the North Korean government, only a very cursory study of it has been made available to international scholars, and its contents are not completely known outside of North Korea. Scholars do not agree about whether either the Dingzhou Analects or the Pyongyang Analects represent the Lu version, the Qi version, the old text version, or a different version that was independent of these three traditions. During most of the Han period the Analects was not considered one of the principal texts of Confucianism. During the reign of Han Wudi (141–87 BC), when the Chinese government began promoting Confucian studies, only the Five Classics were considered by the government to be canonical (jing), considered so because Confucius was assumed to have partially written, edited, and/or transmitted them. The Analects was considered secondary as it was thought to be merely a collection of Confucius' oral "commentary" (zhuan) on the Five Classics. The political importance and popularity of Confucius and Confucianism grew throughout the Han dynasty, and by the Eastern Han the Analects was widely read by schoolchildren and anyone aspiring to literacy, and often read before the Five Classics themselves. During the Eastern Han, the heir apparent was provided a tutor specifically to teach him the Analects. The growing importance of the Analects was recognized when the Five Classics was expanded to the "Seven Classics": the Five Classics plus the Analects and the Classic of Filial Piety, and its status as one of the central texts of Confucianism continued to grow until the late Song dynasty (960–1279), when it was identified and promoted as one of the Four Books by Zhu Xi and generally accepted as being more insightful than the older Five Classics. Since the Han dynasty, Chinese readers have interpreted the Analects by reading scholars' commentaries on the book. There have been many commentaries on the Analects since the Han dynasty, but the two which have been most influential have been the Collected Explanations of the Analects (Lunyu Jijie) by He Yan (c. 195–249) and several colleagues, and the Collected Commentaries of the Analects (Lunyu Jizhu) by Zhu Xi (1130–1200). In his work, He Yan collected, selected, summarized, and rationalized what he believed to be the most insightful of all preceding commentaries on the Analects which had been produced by earlier Han and Wei dynasty (220–265 AD) scholars. He's personal interpretation of the Lunyu was guided by his belief that Daoism and Confucianism complemented each other, so that by studying both in a correct manner a scholar could arrive at a single, unified truth. Arguing for the ultimate compatibility of Daoist and Confucian teachings, he argued that "Laozi [in fact] was in agreement with the Sage" (sic). 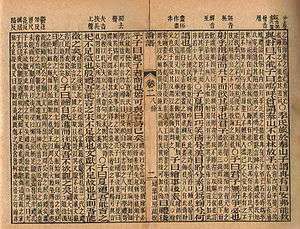 The Explanations was written in 248 AD, was quickly recognized as authoritative, and remained the standard guide to interpreting the Analects for nearly 1,000 years, until the early Yuan dynasty (1271–1368). It is the oldest complete commentary on the Analects that still exists. He Yan's commentary was eventually displaced as the definitive, standard commentary by Zhu Xi's commentary. Zhu Xi's work also brought together the commentaries of earlier scholars (mostly from the Song dynasty), along with his own interpretations. Zhu's work took part in the context of a period of renewed interest in Confucian studies, in which Chinese scholars were interested in producing a single "correct" intellectual orthodoxy that would "save" Chinese traditions and protect them from foreign influences, and in which scholars were increasingly interested in metaphysical speculation. In his commentary Zhu made a great effort to interpret the Analects by using theories elaborated in the other Four Books, something that He Yan had not done. Zhu attempted to give an added coherence and unity to the message of the Analects, demonstrating that the individual books of the Confucian canon gave meaning to the whole, just as the whole of the canon gave meaning to its parts. In his preface, Zhu Xi stated, "[T]he Analects and the Mencius are the most important works for students pursuing the Way [...] The words of the Analects are all inclusive; what they teach is nothing but the essentials of preserving the mind and cultivating [one's] nature." From the first publication of the Commentaries, Zhu continued to refine his interpretation for the last thirty years of his life. In the fourteenth century, the Chinese government endorsed Zhu's commentary, and until 1905 it was read and memorized along with the Analects by all Chinese aspiring to literacy and employment as government officials. Very few reliable sources about Confucius exist. The principal biography available to historians is included in Sima Qian's Shiji, but, because the Shiji contains a large amount of (possibly legendary) material not confirmed by extant sources, the biographical material on Confucius found in the Analects makes the Analects arguably the most reliable source of biographical information about Confucius. Confucius viewed himself as a "transmitter" of social and political traditions originating in the early Zhou dynasty (c. 1000–800 BC), and claimed not to have originated anything (Analects 7.1), but Confucius' social and political ideals were not popular in his time. Throughout the Analects, Confucius' students frequently request that Confucius define ren and give examples of people who embody it, but Confucius generally responds indirectly to his students' questions, instead offering illustrations and examples of behaviours that are associated with ren and explaining how a person could achieve it. According to Confucius, a person with a well-cultivated sense of ren would speak carefully and modestly (Analects 12.3); be resolute and firm (Analects 12.20), courageous (Analects 14.4), free from worry, unhappiness, and insecurity (Analects 9.28; 6.21); moderate their desires and return to propriety (Analects 12.1); be respectful, tolerant, diligent, trustworthy and kind (Analects 17.6); and love others (Analects 12.22). Confucius recognized his followers' disappointment that he would not give them a more comprehensive definition of ren, but assured them that he was sharing all that he could (Analects 7.23). To Confucius, the cultivation of ren involved depreciating oneself through modesty while avoiding artful speech and ingratiating manners that would create a false impression of one's own character (Analects 1.3). Confucius said that those who had cultivated ren could be distinguished by their being "simple in manner and slow of speech". He believed that people could cultivate their sense of ren through exercising the Golden Rule: "Do not do to others what you would not like done to yourself"; "a man with ren, desiring to establish himself, helps others establish themselves; desiring to succeed himself, helps others to succeed" (Analects 12.2; 6.28). He taught that the ability of people to imagine and project themselves into the places of others was a crucial quality for the pursuit of moral self-cultivation (Analects 4.15; see also 5.12; 6.30; 15.24). Confucius regarded the exercise of devotion to one's parents and older siblings as the simplest, most basic way to cultivate ren. (Analects 1.2). Confucius believed that ren could best be cultivated by those who had already learned self-discipline, and that self-discipline was best learned by practicing and cultivating one's understanding of li: rituals and forms of propriety through which people demonstrate their respect for others and their responsible roles in society (Analects 3.3). Confucius said that one's understanding of li should inform everything that one says and does (Analects 12.1). He believed that subjecting oneself to li did not mean suppressing one's desires, but learning to reconcile them with the needs of one's family and broader community. By leading individuals to express their desires within the context of social responsibility, Confucius and his followers taught that the public cultivation of li was the basis of a well-ordered society (Analects 2.3). Confucius taught his students that an important aspect of li was observing the practical social differences that exist between people in daily life. In Confucian philosophy these "five relationships" include: ruler to ruled; father to son; husband to wife; elder brother to younger brother; and friend to friend. Ren and li have a special relationship in the Analects: li manages one's relationship with one's family and close community, while ren is practiced broadly and informs one's interactions with all people. Confucius did not believe that ethical self-cultivation meant unquestioned loyalty to an evil ruler. He argued that the demands of ren and li meant that rulers could oppress their subjects only at their own peril: "You may rob the Three Armies of their commander, but you cannot deprive the humblest peasant of his opinion" (Analects 9.25). Confucius said that a morally well-cultivated individual would regard his devotion to loving others as a mission for which he would be willing to die (Analects 15.8). Confucius' political beliefs were rooted in his belief that a good ruler would be self-disciplined, would govern his subjects through education and by his own example, and would seek to correct his subjects with love and concern rather than punishment and coercion. "If the people be led by laws, and uniformity among them be sought by punishments, they will try to escape punishment and have no sense of shame. If they are led by virtue, and uniformity sought among them through the practice of ritual propriety, they will possess a sense of shame and come to you of their own accord" (Analects 2.3; see also 13.6). Confucius' political theories were directly contradictory to the Legalistic political orientations of China's rulers, and he failed to popularize his ideals among China's leaders within his own lifetime. Confucius believed that the social chaos of his time was largely due to China's ruling elite aspiring to, and claiming, titles of which they were unworthy. When the ruler of the large state of Qi asked Confucius about the principles of good government, Confucius responded: "Good government consists in the ruler being a ruler, the minister being a minister, the father being a father, and the son being a son" (Analects 12.11). Confucius' analysis of the need to raise officials' behavior to reflect the way that they identify and describe themselves is known as the rectification of names, and he stated that the rectification of names should be the first responsibility of a ruler upon taking office (Analects 13.3). Confucius believed that, because the ruler was the model for all who were under him in society, the rectification of names had to begin with the ruler, and that afterwards others would change to imitate him (Analects 12.19). Confucius judged a good ruler by his possession of de ("virtue"): a sort of moral force that allows those in power to rule and gain the loyalty of others without the need for physical coercion (Analects 2.1). Confucius said that one of the most important ways that a ruler cultivates his sense of de is through a devotion to the correct practices of li. Examples of rituals identified by Confucius as important to cultivate a ruler's de include: sacrificial rites held at ancestral temples to express thankfulness and humility; ceremonies of enfeoffment, toasting, and gift exchanges that bound nobility in complex hierarchical relationships of obligation and indebtedness; and, acts of formal politeness and decorum (i.e. bowing and yielding) that identify the performers as morally well-cultivated. His primary goal in educating his students was to produce ethically well-cultivated men who would carry themselves with gravity, speak correctly, and demonstrate consummate integrity in all things (Analects 12.11; see also 13.3). He was willing to teach anyone regardless of social class, as long as they were sincere, eager, and tireless to learn (Analects 7.7; 15.38). He is traditionally credited with teaching three thousand students, though only seventy are said to have mastered what he taught. He taught practical skills, but regarded moral self-cultivation as his most important subject. The traditional titles given to each chapter are mostly an initial two or three incipits. In some cases a title may indicate a central theme of a chapter, but it is inappropriate to regard a title as a description or generalization of the content of a chapter. Chapters in the Analects are grouped by individual themes, but the chapters are not arranged in a way as to carry a continuous stream of thoughts or ideas. The themes of adjacent chapters are completely unrelated to each other. Central themes recur repeatedly in different chapters, sometimes in exactly the same wording and sometimes with small variations. Chapter 10 contains detailed descriptions of Confucius' behaviors in various daily activities. Voltaire and Ezra Pound believed that this chapter demonstrated how Confucius was a mere human. Simon Leys, who recently translated the Analects into English and French, said that the book may have been the first in human history to describe the life of an individual, historic personage. Elias Canetti wrote: "Confucius' Analects is the oldest complete intellectual and spiritual portrait of a man. It strikes one as a modern book; everything it contains and indeed everything it lacks is important." Within these incipits a large number of passages in the Analects begin with the formulaic ziyue, "The Master said," but without punctuation marks in classical Chinese, this does not confirm whether what follows ziyue is direct quotation of actual sayings of Confucius, or simply to be understood as "the Master said that.." and the paraphrase of Confucius by the compilers of the Analects. 2. Wei Zheng 為政 The practice of government This chapter explores the theme that political order is best gained through the non-coercive influence of moral self-cultivation rather than through force or excessive government regulation. 3. Ba Yi 八佾 Eight lines of eight dancers apiece Ba Yi was a kind of ritual dance practiced in the court of the Zhou king. In Confucius' time, lesser nobles also began staging these dances for themselves. The main themes of this chapter are: criticism of ritual impropriety (especially among China's political leadership), and the need to combine learning with nature in the course moral self-cultivation. Chapters 3-9 may be the oldest in the Analects. 4. Li Ren 里仁 Living in brotherliness This chapter explores the theme of ren, its qualities, and the qualities of those who have it. A secondary theme is the virtue of filial piety. 5. Gongye Chang 公冶長 Gongye Chang The main theme of this chapter is Confucius' examination of others' qualities and faults in order to illustrate the desirable course of moral self-cultivation. This chapter has traditionally been attributed to the disciples of Zigong, a student of Confucius. Gongye Chang was Confucius' son-in-law. 6. Yong Ye 雍也 There is Yong Yong is Ran Yong, also called Zhou Gong, a student of Confucius. 7. Shu Er 述而 Transmission Transmission, not invention [of learning]. 8. Taibo 泰伯 Taibo Wu Taibo was the legendary founder of the state of Wu. He was the oldest son of King Tai and the great-grandfather of King Wu of the Zhou Dynasty. 9. Zi Han 子罕 The Master shunned Confucius seldom spoke of advantage. 10. Xiang Dang 鄉黨 Among the Xiang and the Dang A "xiang" was a group of 12,500 families; a "dang" a group of 500 families. This chapter is a collection of maxims related to ritual. 11. Xian Jin 先進 Those of former eras The former generations. This chapter has traditionally been attributed to the disciples of Min Ziqian, also known as Min Sun, a student of Confucius. 12. Yan Yuan 顏淵 Yan Yuan Yan Hui was a common name of Zi Yuan, a favorite disciple of Confucius. 13. Zilu 子路 Zilu Zilu was a student of Confucius. 14. Xian Wen 憲問 Xian asked This chapter has traditionally been attributed to the disciples of Yuan Xian, also called both Yuan Si and Zisi, a student of Confucius. 15. Wei Ling Gong 衛靈公 Duke Ling of Wey Duke Ling ruled from 534–493 BC in the state of Wey. 16. Ji Shi 季氏 Chief of the Ji Clan Ji Sun was an official from one of the most important families in Lu. This chapter is generally believed to have been written relatively late; possibly compiled from the extra chapters of the Qi version of the Analects. 17. Yang Huo 陽貨 Yang Huo Yang was an official of the Ji clan, an important family in Lu. 18. Weizi 微子 Weizi Weizi was the older half-brother of Zhou, the last king of the Shang dynasty, and was founder of the state of Song. The writer of this chapter was critical of Confucius. 19. Zizhang 子張 Zizhang Zizhang was a student of Confucius. This chapter consists entirely of sayings by Confucius' disciples. 20. Yao Yue 堯曰 Yao spoke Yao was one of the traditional Three Sovereigns and Five Emperors of ancient China. This chapter consists entirely of stray sentences resembling the style and content of the Shujing. Lyall, Leonard A., trans. (1909). The Sayings of Confucius. London: Longmans, Green and Co. OCLC 1435673. Soothill, William Edward, trans. (1910). The Analects of Confucius. Yokohama: Fukuin Printing. ; rpt. London: Oxford University Press (1937). Couvreur, Séraphin, trans. (1930). Entretiens de Confucius [Conversations of Confucius]. Les Quatre Livres (in French) (3rd ed.). Sien Hsien: Mission Catholique. (Japanese) Yoshikawa, Kōjirō 吉川幸次郎 (1978). Rongo 論語 [Lunyu], 3 vols. Tokyo: Asahi Shinbun. Rpt. 2 vols, Asahi Shinbun (1996). Lau, D. C., trans. (1979). Confucius, The Analects (Lun yü). Harmondsworth: Penguin Books. ; rpt. with Chinese text, Hong Kong: Chinese University Press (1979). Cheng, Anne, trans. (1981). Entretiens de Confucius [Conversations of Confucius] (in French). Paris: Éditions du Seuil. Ryckmans, Pierre, trans. (1987). Les Entretiens de Confucius [The Conversations of Confucius] (in French). Paris: Gallimard. English version published as Simon Leys, trans. (1997), The Analects of Confucius (New York: W. W. Norton). Huang, Chi-chung, trans. (1997). The Analects of Confucius. Oxford: Oxford University Press. ISBN 978-0195112764. Brooks, E. Bruce; Brooks, Taeko, trans. (2001). The Original Analects: Sayings of Confucius and His Followers. New York: Columbia University Press. ISBN 978-0231104302. Watson, Burton, trans. (2007). The Analects of Confucius. New York: Columbia University Press. ISBN 978-0-231-14164-2. 1 2 Knechtges & Shih (2010), p. 645. ↑ Kim & Csikszentmihalyi (2010), p. 25. ↑ Kim & Csikszentmihalyi (2013), p. 26. ↑ Bryan W. Van Norden (2002). Confucius and the Analects : New Essays. Oxford University Press. p. 13. ISBN 9780195350821. ↑ Slingerland (2003), pp. xiii-xiv. ↑ Lee Dian Rainey (2010). Confucius and Confucianism: The Essentials. Wiley-Blackwell. p. 10. ISBN 9781444323603. ↑ Robert Eno (2015). "The Analects of Confucius" (PDF). Indiana University. ↑ Kim & Csikszentmihalyi (2010), pp. 25-26. 1 2 3 4 5 6 Riegel "2. Confucius' Social Philosophy"
1 2 3 Riegel "3. Confucius' Political Philosophy"
1 2 Riegel 4 "Confucius and Education"
↑ Roger T. Ames The Analects of Confucius: A Philosophical Translation 2010 p.285 "A large number of passages in the Analects begin with the formulaic ziyue 子曰, "The Master said," but because there are no punctuation marks in classical Chinese, we must ask if whatever follows ziyue is a literal transcription of speech, or a paraphrase of it, or a method of transmitting ideas in a written language which existed in important ways independently of the spoken language." Canetti, Elias. The Conscience of Words. Trans. Joachim Neugroschel. Publisher: Farrar Straus Giroux. 1984. ISBN 0374518815. Cheng, Anne (1993). "Lun yü 論語". In Loewe, Michael. Early Chinese Texts: A Bibliographical Guide. Berkeley: Society for the Study of Early China; Institute for East Asian Studies, University of California, Berkeley. pp. 313–23. ISBN 1-55729-043-1. Els, Paul van. "Confucius' sayings entombed: On Two Han Dynasty Analects Manuscripts". Analects Studies. Leiden: Brill. 2012. Retrieved July 15, 2012. Kern, Martin (2010). "Early Chinese literature, Beginnings through Western Han". In Owen, Stephen. The Cambridge History of Chinese Literature, Volume 1: To 1375. Cambridge: Cambridge University Press. pp. 1–115. ISBN 978-0-521-11677-0. Knechtges, David R.; Shih, Hsiang-ling (2010). "Lunyu 論語". In Knechtges, David R.; Chang, Taiping. Ancient and Early Medieval Chinese Literature: A Reference Guide, Part One. Leiden: Brill. pp. 645–650. ISBN 978-90-04-19127-3. Lau, D.C. "Introduction". In The Analects. Trans. D.C. Lau. Hong Kong: The Chinese University Press. 2002. ISBN 962-201-980-3. Retrieved June 26, 2012. Legge, James. "Prolegomena". In The Confucian Analects, The Great Learning, and The Doctrine of the Mean. Trans. James Legge. New York, NY: Cosimo. 2009. ISBN 978-1-60520-644-8. Retrieved June 28, 2012. Riegel, Jeffrey. "Confucius", The Stanford Encyclopedia of Philosophy. Ed. Edward N. Zalta. Spring 2012. Retrieved June 28, 2012. Kim, Tae Hyun; Csikszentmihalyi, Mark (2013). "Chapter 2". In Olberding, Amy. Dao Companion to the Analects. Springer. pp. 21–36. ISBN 9400771126. Slingerland, Edward (2003). Analects: With Selections from Traditional Commentaries. Indianapolis: Hackett. ISBN 9781603843454. Waley, Arthur. "Terms". In The Analects of Confucius. Trans. Arthur Waley. New York: Vintage Books. 1938. Van Norden, Bryan W. Confucius and the Analects : New Essays. Oxford University Press, 2001. ISBN 0195350820, 9780195350821. Look up analects in Wiktionary, the free dictionary. Analects at World's Chinese Wiki. Bilingual excerpts and children's audio in Chinese and Japanese. Chinese-English bilingual text (Legge's translation) with links to Zhu Xi's commentary, at Chinese Text Project. English translation by A. Charles Muller, with Chinese text. English translation at Confucius.org, one page per verse. Translations of the Analects in over 20 languages, with footnotes.